Lots of shiny gold metal. 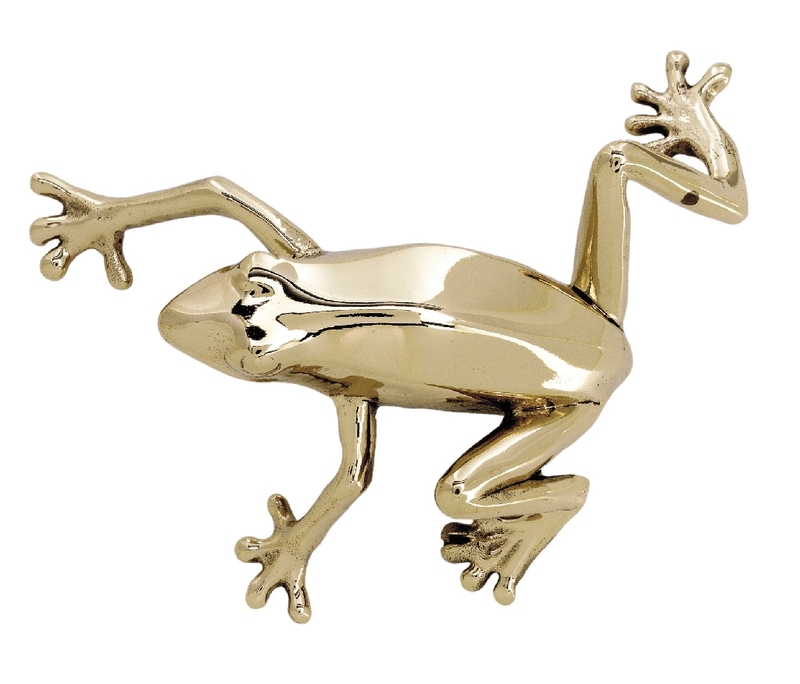 Brass could be spotted used in lighting fixtures, furniture frames, hardware and accessories. While metals like nickel, stainless and oil rubbed bronze are quite beautiful, brass offers a warm alternative. Velvet appears to be the upholstery and window treatment fabric for the upcoming year. Luscious jewel tones included emerald green and dazzling shades of blue (rumored to be the color of the year for 2014). A black and white color combination never really goes out of style but it is back in a big way. 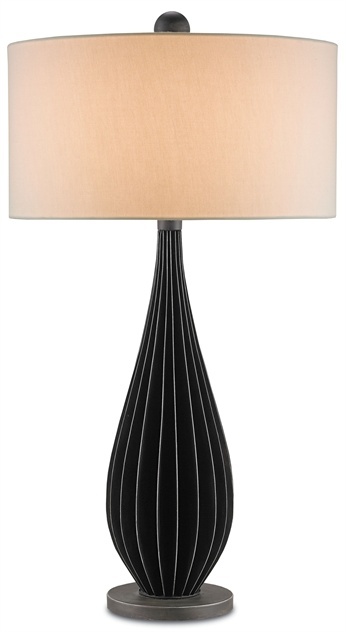 Upholstered furniture, case goods and even lighting fixtures are featuring this always chic color combo, as evidenced in this exquisite lamp by Currey & Co.
Exton lamp from Currey & Co. 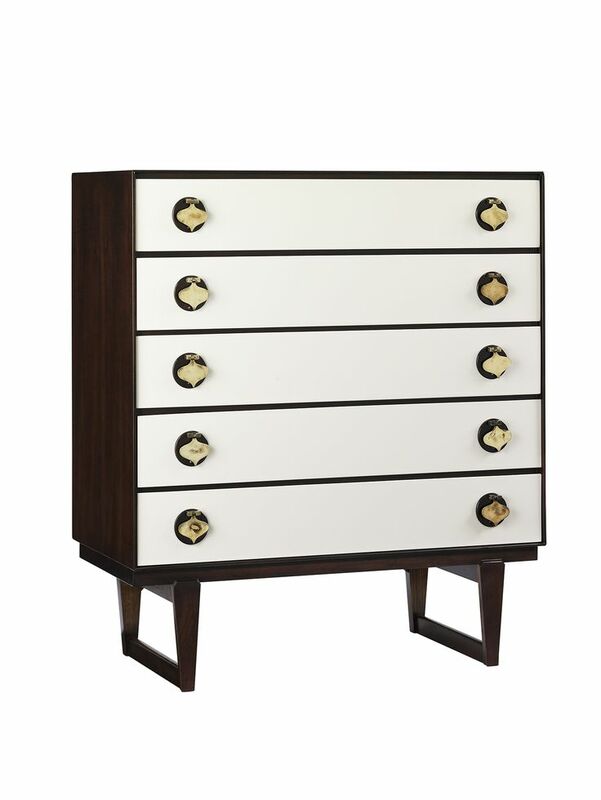 The classic design of mid-century furniture has, obviously, been around for a very long time but is enjoying a resurgence of popularity. See our post on some of the iconic designers of that period who’s designs have withstood the test of time. The clean and simple lines designed with function in mind serve the busy lifestyles of today’s homeowner. With so much to choose from this year it will be exciting to see what the furniture, fabric and architectural hardware manufacturers have in mind come Spring 2014! To view our current collection as well as new products, visit our site at http://www.martinpierce.com. This entry was posted in Uncategorized and tagged architectural hardware, brass, gold metals, high point market, high point market trends, high point market trends 2013. Bookmark the permalink.